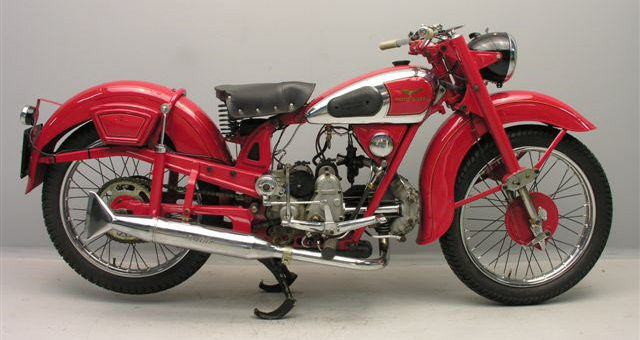 The Moto Guzzi Falcone was an unusual Italian single cylinder motorcycle that had a long life span and several different iterations. A customer contacted Gaskets-to-Go about making some somewhat unusual copper crush washers. 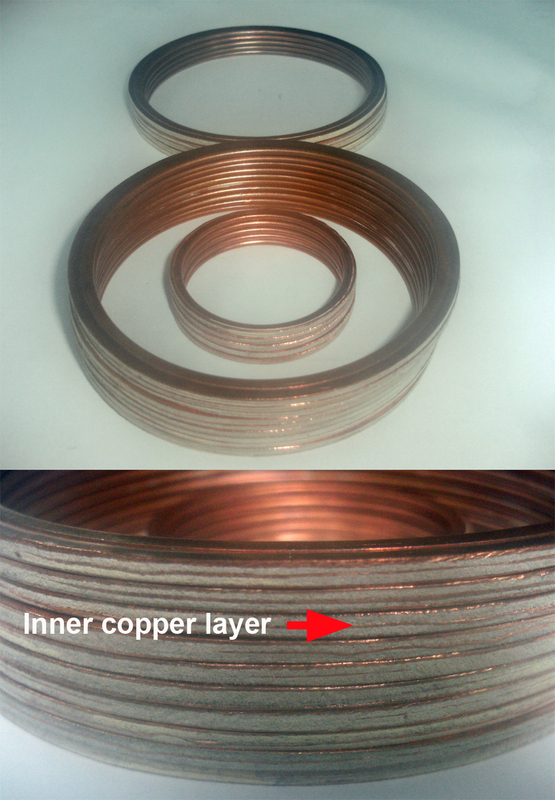 Unusual because the spec called for a thin copper ring to be inserted inside the gasket material sandwich, so in effect there are three copper layers and two filler layers. The arrow in the close-up image below shows one of the inner copper layers. If you are in need of these gaskets for a Falcone let me know and I will put you in touch with the customer. This entry was posted on July 29, 2010 at 4:51 pm and is filed under Motorcycles. You can subscribe via RSS 2.0 feed to this post's comments.